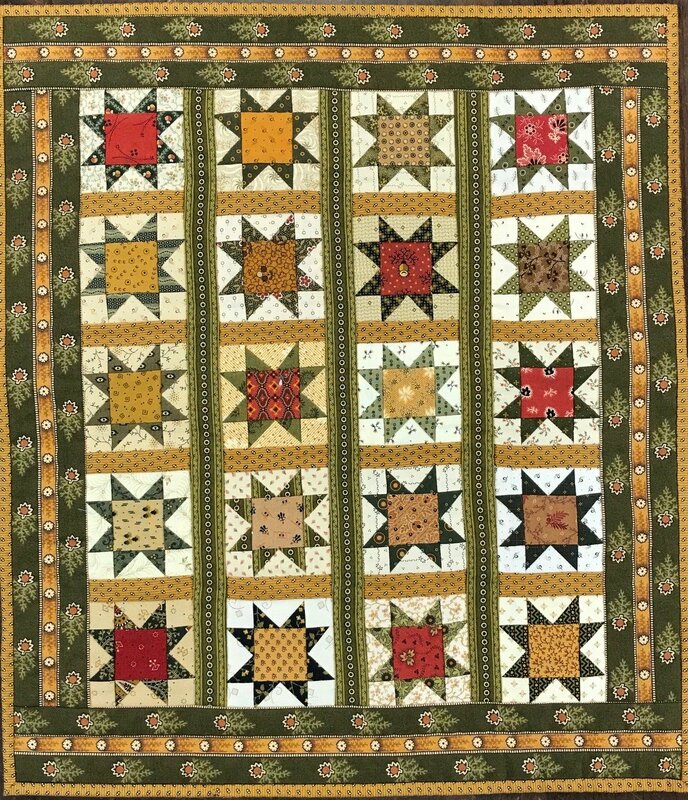 Another mini quilt from Jo's Little Favorites III book! These tiny stars just sparkle! Use up lots of your small scraps for maximum variety. We even have pieces of the border fabric and the green stripe in stock! Quilt finishes 13 1/2" x 19".